Hey Guys x I hope you're all well, and that you're all keeping warm and cosy, and staying out of the wind and snow. 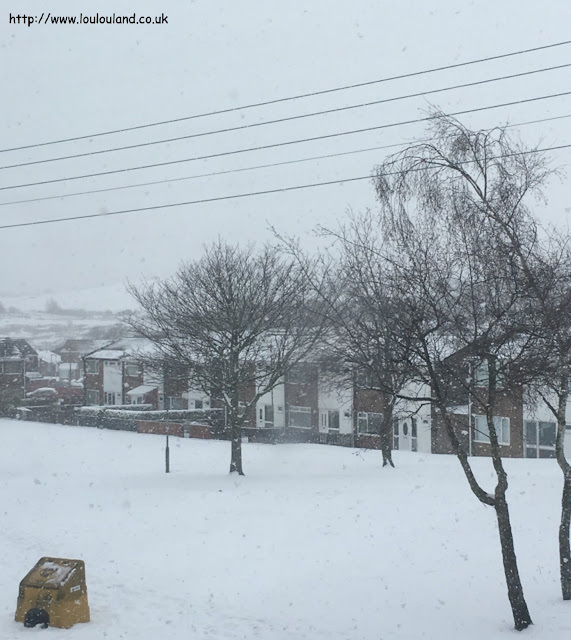 The "beast from the east" has slammed into my little corner of Co Durham today with heavy snow falling for most of the day and freezing temperatures, and supposedly there is more to come! I know we deal with bad weather incredibly badly in the UK compared to some countries but the snow and the cold can be deadly. I've tweeted a few links today from Centrepoint and Shelter on how to help homeless people in this weather so please take a look if you can but in the meantime take care of yourselves! Please, please don't go out if you don't need to, and if you do go out make sure to wrap up warm, and if you're taking the car make sure to take a shovel, some food and drink and a blanket in case you get stuck. it's better to be safe than sorry, so take notice of all of the local travel and weather reports and take care! 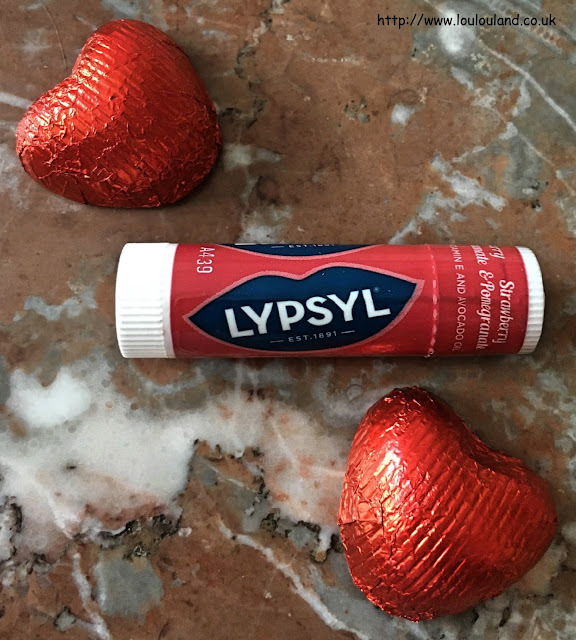 On a slightly less serious note please don't forget to look after your skin in the bad weather, no matter how well you wrap up there will always be a bit of your skin exposed so make sure you use plenty of moisturiser, and don't forget the lip balm! 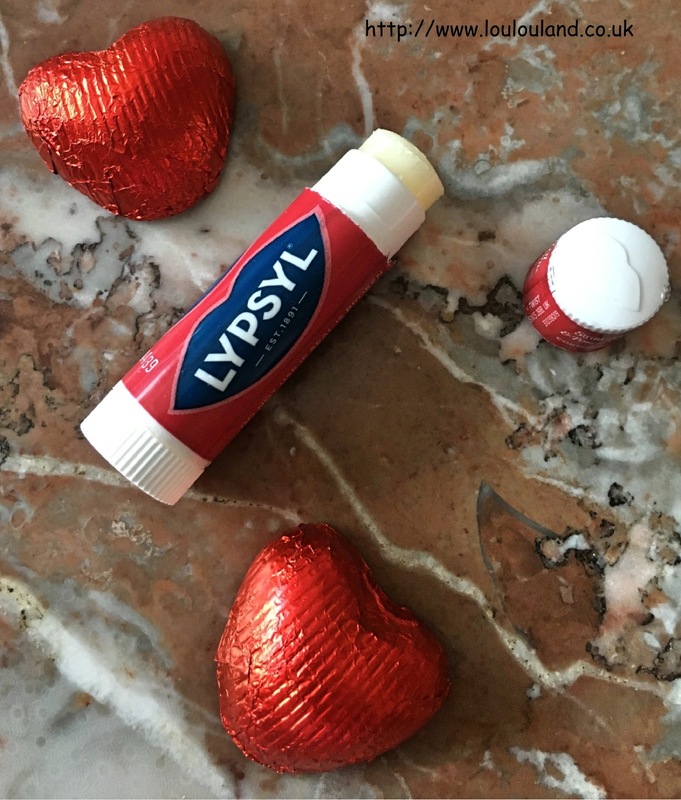 Thankfully dry lips are not pretty easy to treat thanks to the copious amounts of lip scrubs, lip balms, lip butter and lip salves on the market. 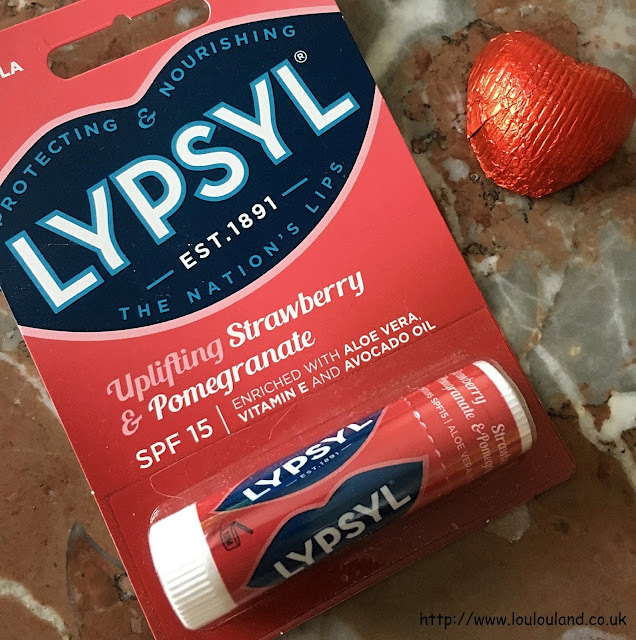 I can't really remember when I first started using lip balm but I think I probably started using it when I was at junior school, and whilst the dates are slightly hazy the brand certainly isn't. 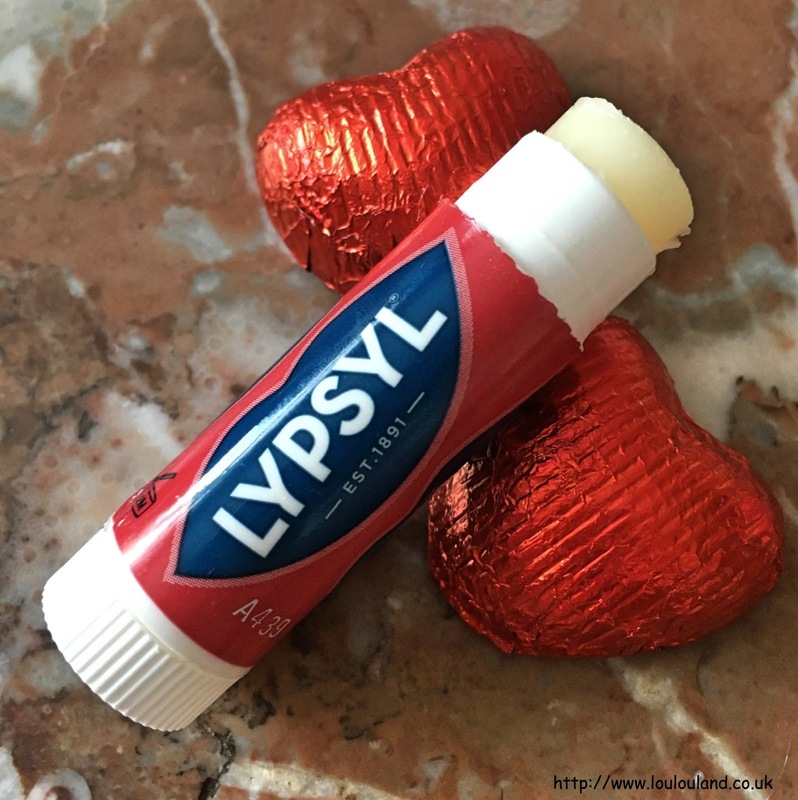 Like so many of my classmates, I had a little blue and white, tube of the original Lypsyl in my school bag. 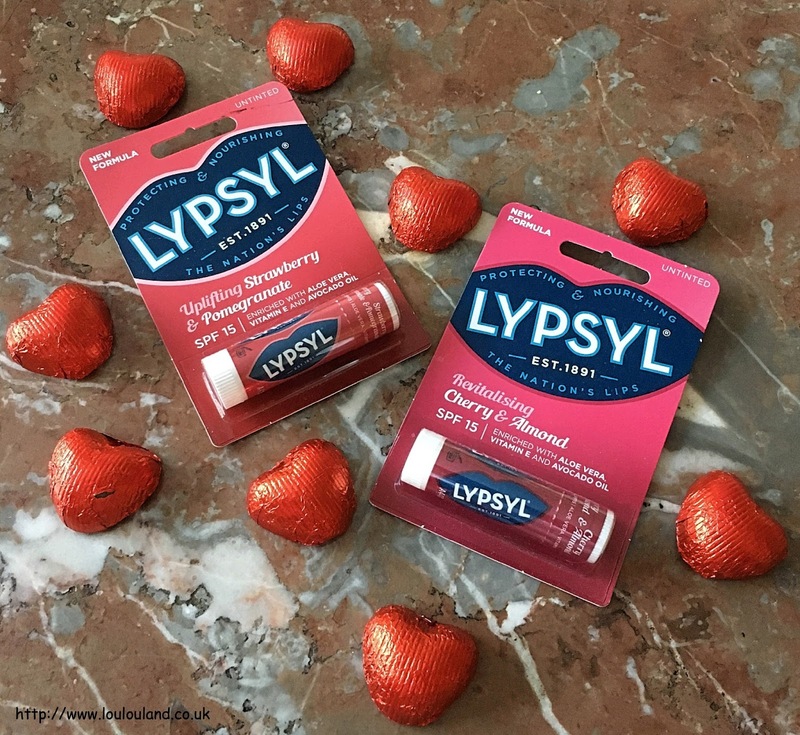 A couple of weeks ago now I was sent two of their newest and fruitiest introductions to try out - Uplifting Strawberry And Pomegranate, and Revitalising Cherry And Almond. Both balms come in 4g pocket size, easy to twist up sticks and contain an SPF 15 to protect against UVA and UVB rays, they also contain Shea Butter, Cocoa Butter, and Beeswax, as well as Aloe Vera to soothe and repair, Vitamin E to prevent the lips from drying out and Avocado Oil to moisturise and repair the skin. 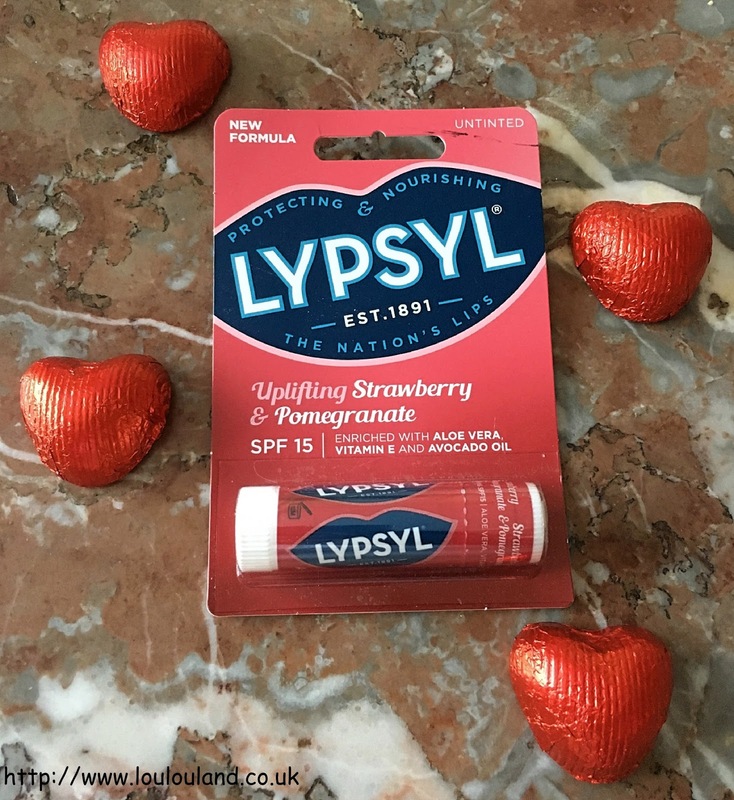 These lip balms are dermatologically tested and contain not artificial colours of preservatives. 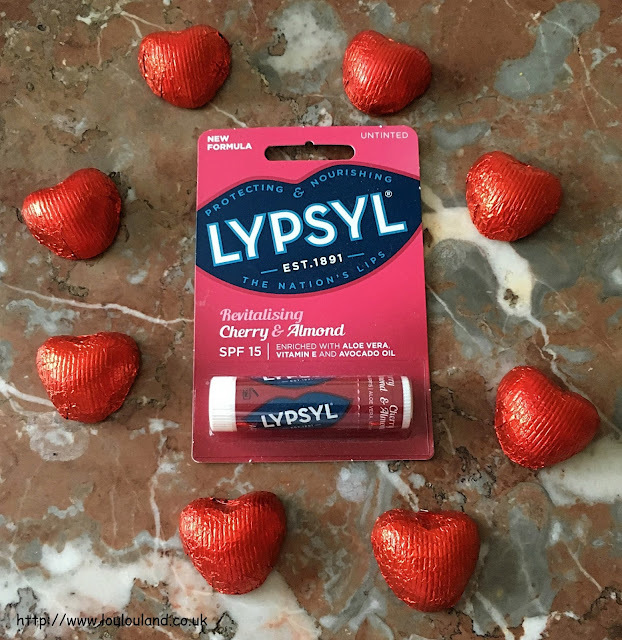 The one I tried out was the Uplifting Strawberry and Pomegranate. The tube was sealed for hygiene purposes but just a little twist broke the seal, and the ivory coloured balm twisted up with ease. These are un-tinted balms and the apply clear. This once felt nice and moisturising on the lips and it give them a nice sheen. It wasn't too thick, too white or too sticky and it after a short time it absorbed into the lips leaving them looking and feeling less rough and bitty, even after one use. I was also sent the Revitalising Cherry and Almond version which comes in the same style of packaging and contains the same treatment and nourishing ingredients, only with a cherry almond taste and scent. Now I can cope with a lot of scents and tastes but unfortunately cherry almond, bitter almond, marzipan, Dr Pepper and Cherry Coke are on my no no list. Apparently I ate too much marzipan as a child and it's destroyed me for life. Since I'm not going to get any use out of it then and seeing as it is Valentines Day though I thought that I'd give one of my UK followers a chance to try this one out. 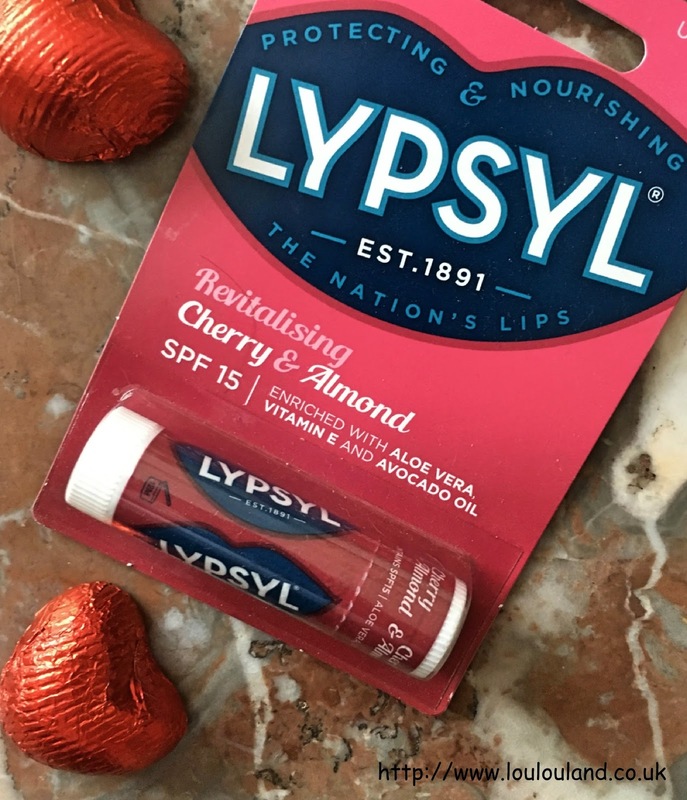 So all you need to do is read the terms and conditions and fill out the Rafflecopter form below for a chance to win a brand new and sealed Lypsyl Revitalising Cherry And Almond Lip Balm Stick. If you are under 18 please get your parent or guardians permission before you enter as I will need your contact details if you're the lucky winner. 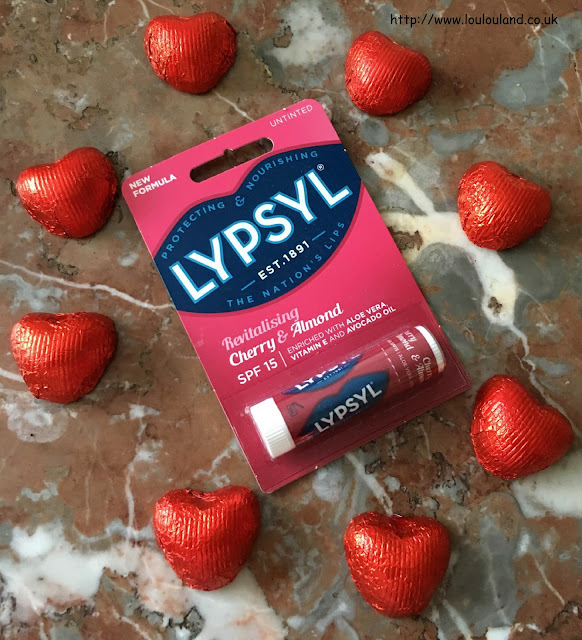 This prize was provided for review / promotional purposes by Lypsyl. I am responsible though for the giveaway, the prize, and contacting the winner and posting the prize. 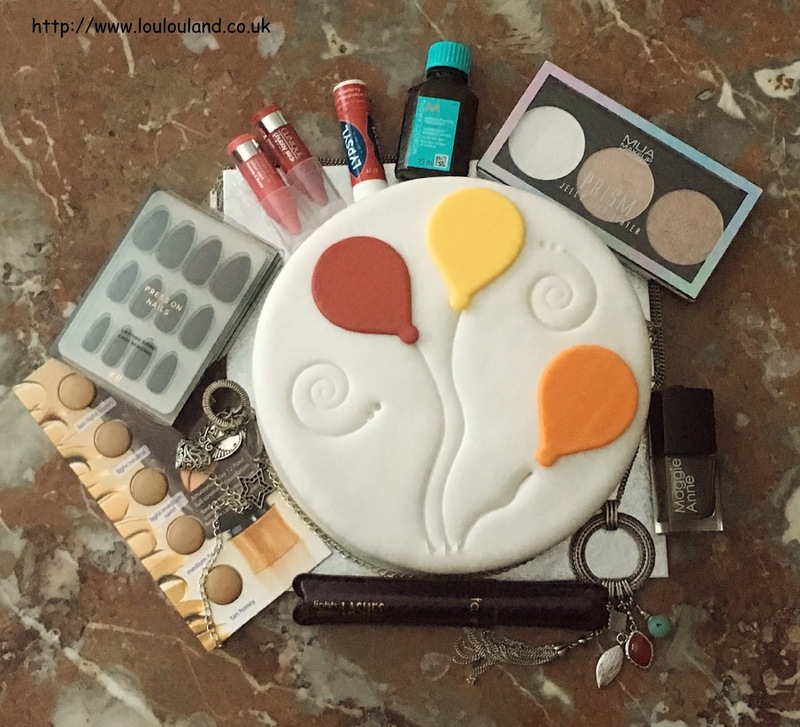 Happy 11th Birthday LouLouLand ! Well there were times over the last 12 months that I didn't think that I would make it this far but I have and today my blog is celebrating it's 11th birthday. 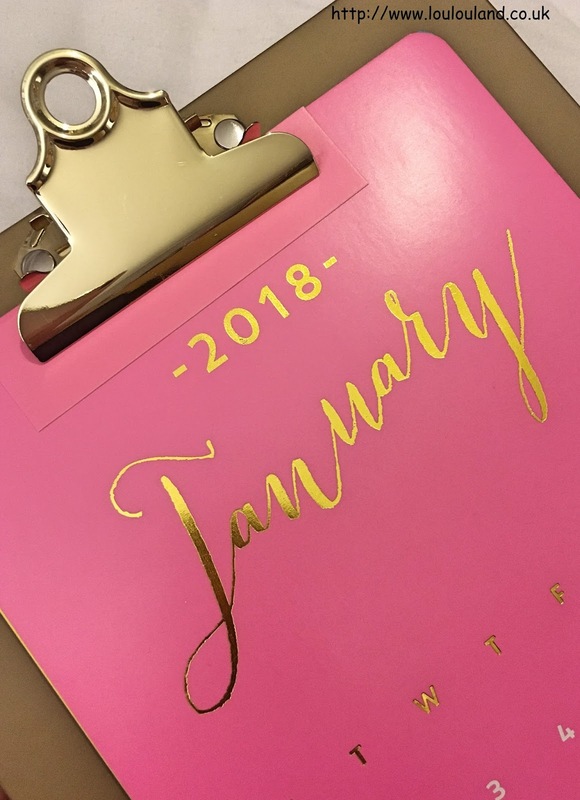 About this time every year I normally write a post sharing some of my wisdom about blogging and what I've learnt over the last however many years. I don't really want to repeat myself too much so all I can say is that most of what I've learnt in the past 10 or so years still applies. Over the last 12 months or so I've struggled on so many levels, and it's probably pretty obvious to most of you that I've struggled when it comes to blogging as well. A lot of that has been to do with personal things and health issues but at times I've really felt as though that my blog has ran it's course. There is no doubt that blogging has become harder and harder as time has gone on, there are so many bloggers out there now that you sometimes feel as though your getting lost in a sea of people with way more talent, charisma and presence than you will ever have. I've talked on several occasions about finding your own niche, about going your own way, and doing your own thing, and not comparing yourself to others but I'm not going to lie it's easier said than done at times. If you're lacking in the old self belief and self confidence thing it really doesn't take a lot to make you question on whether it's all worth while and whether any one would really care if you just hit the delete button and moved on! Then though, I look back at everything that's happened to me because of blogging and then I think yeah, I may not have kazillions of followers and get sent on press trips to the Maldives ;) but I'm doing pretty well thank you very much! I've worked with some amazing brands, I've met some lovely people and I've had so many lovely messages and emails over the years from readers that just makes it all worth while. I guess what I'm trying to say is never give up on anything, look at how far you've come, how hard you've worked and what you've achieved so far. Obviously we all want to be right up there and be the best that we can be, but beating ourselves up and thinking that we're a failure because of a few numbers on a screen or because you don't get a cute package through the post or invited to the event of your dreams, isn't the way to go and that's the one piece of advice that I would give anyone who wants to be a blogger - don't use things like that to value your own self worth! Although I'm finding myself using it more and more, I'm not a huge fan of the term small blogger, or small You Tuber, believe me when I say that there are way more of those then they are of the big boys! There are so many amazing bloggers and content producers out there that don't have a ton of subscribers and followers, and whilst I hope upon hope that they do get the recognition they deserve at the same time I really hope that even if they don't, they don't give up and they keep doing what they love, after all that's what it's all about at the end of the day. I originally set my blog up to explore things that I love including fashion, beauty, food and home style, and whilst at time I've fallen out with the whole blogging thing, and the politics and stresses behind it at times, I haven't fell out of love with why I started blogging and maybe that is what's kept me going for 11 years. So we're now into the second month of 2018 already and as the song goes "Thing Can Only Get Better". I've lost count of how many times I've quoted that damn song on my blog but please, please, please can something go right for me just once? The virus from hell is still continuing to plague both myself and the mothership, and to say that I'm feeling pretty fragile, both mentally and physically is an understatement. I feeling as though it's 1 step forward and 2 steps back at the moment, I'm feeling weary and drained, and everything just seems to be getting on top of me again, and just when you think that things can't get any worse, a rogue MacBook update rendered my Mac unusable! I'm going to start off with a slightly controversial product, feminine wash! 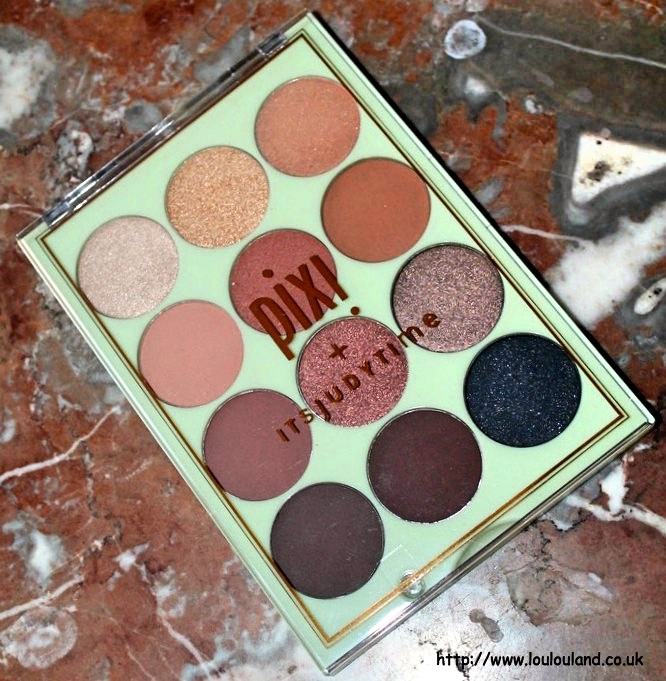 There are so many arguments surrounding this stuff that I really don't want to get it into now, or maybe ever! It's all down to personal choice but I can honestly say that it's something that I've never gone out and purchased myself but after receiving a package of products from Femfresh a little while ago now I decided to give this a go. I guess the argument is that highly perfumed products can cause a few issues downstairs, and since I was using a bottle of glitter filled Lush Snow Fairy at the time I decided that maybe I should use something else to wash my ahem..undercarriage. It had very little fragrance and it didn't feel drying or irritating, on my more delicate areas, and I guess it probably did them more good than a smattering of glitter and sparkles. 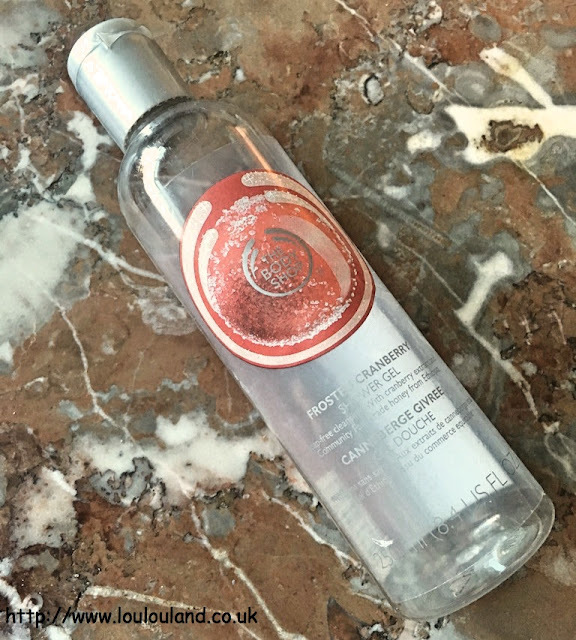 I still have a few different varieties of Femfresh to try out, and whilst I firmly believe that I smell okay naturally I can definitely see myself using this product again in the future, particularly at certain times of the month. 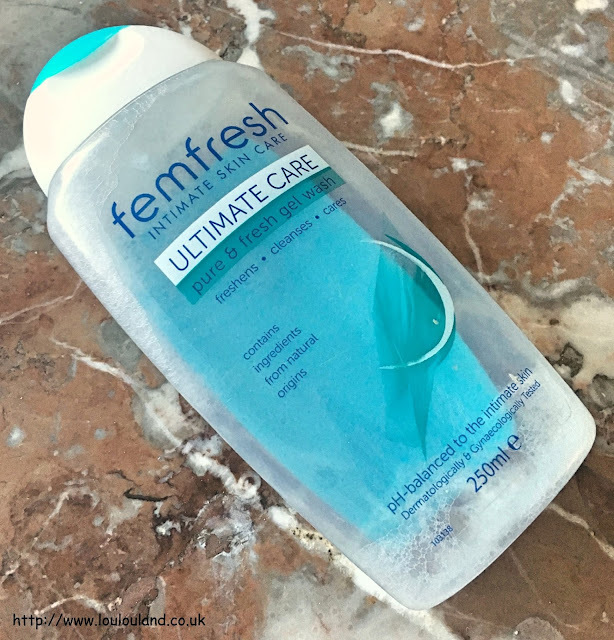 Femfresh Ultimate Care Pure And Fresh Gel Wash retails at around £3.29 for a 250ml bottle. Like most people whenever I'm poorly or under the weather you can really see it in my skin. Over the last month or so I've noticed a real change in the texture and feel of my skin, and although it still looks shiny, at the same time it also feels quite tight and uncomfortable. Having quite oily skin I've always been quite scared of adding to much moisture to my skin, but since somebody once told me that oily skin can still by dehydrated I had a little look through my collapsed skin care drawer (long story basically it's too full!) and found a few hydration and moisture boosting products to try. 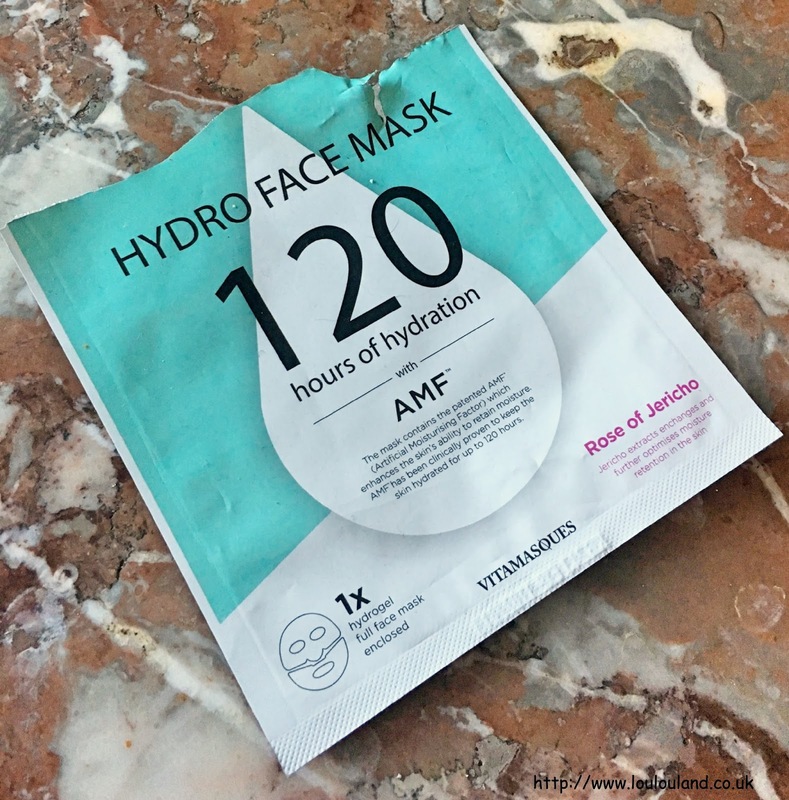 Face masks are always an easy option and I think they are a great quick fix for a lot of skincare issues, and something that I've fallen in love with is the sheet mask. They are perfect for a pre party or a special occasion boost and in a lot of cases they can make your skin look smoother and brighter in a matter of minutes. 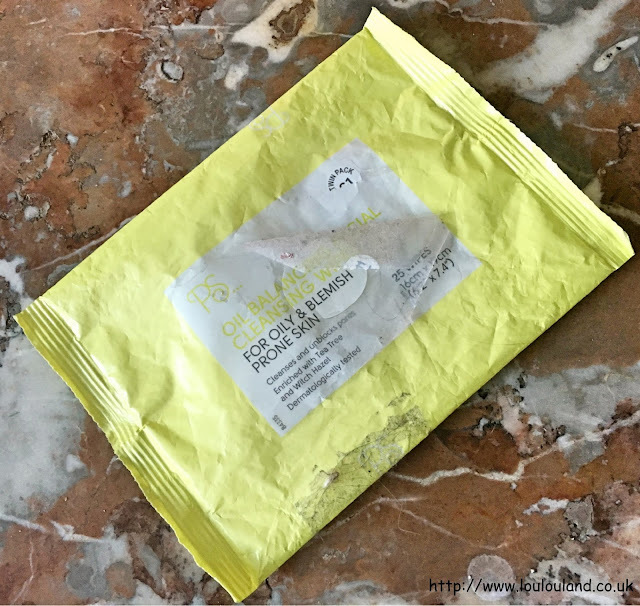 I've tried a few sheet masks from Vitamasques but this one was something completely different to anything else that I'd tried before. Instead of the one piece, conventional liquid infused fabric or paper mask, this fibre mask came in two pieces for a better fit and featured a thick almost gel like layer of product. Containing Rose Of Jericho extract, this mask promises 120 hours worth of hydration, and whilst I'm can't be 100% certain that the effects lasted that long this wet, and cool feeling mask certainly left my skin feeling moist, and looking a bit more even in tone, and Mummy Lou even said that I looked a little bit more awake and refreshed. This mask was definitely what I needed last month and whilst £7.99 is a little bit pricey to some for just one mask, this one definitely did what it promised, and I'm definitely going to look into trying more hydrogel type masks in the future. I've used these for a couple of reasons over the last month, including cleaning swatches for some blog posts that I've got coming soon, and I've also been utilising the antibacterial properties of the tea tree oil and wiping bits and pieces down in an attempt to rid myself and my surroundings of this virus from hell! In fact the only place that I haven't used these wipes on in the last month is my face, my skins just been a little bit too dry and sensitive for these ones so I've been using a combination of AVON micellar waters and Primark's Micellar Water wipes for those lazy skincare days of which there have a been a lot lately. 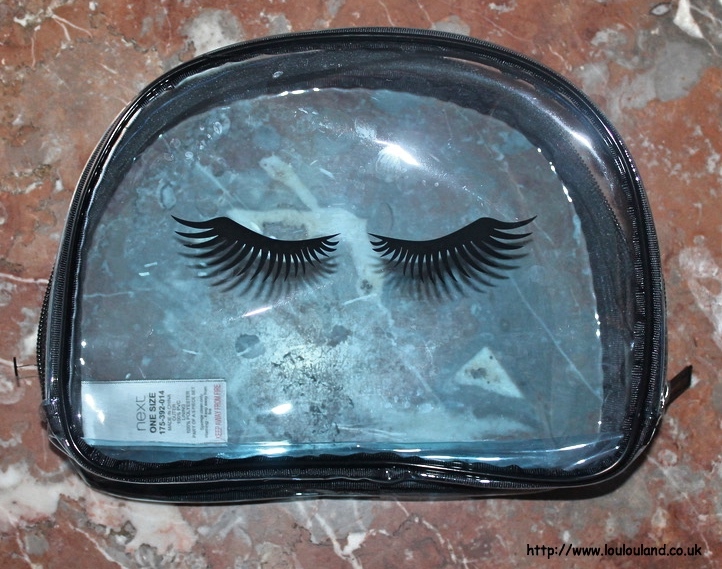 These wipes are still a staple in my beauty stash though and they are something that I will continue to purchase. Finally a Christmas product and something that hasn't been around for the last year or so :( As you know I'm a huge fan of The Body Shop Christmas collections, and one of my favourite scents that they've ever done is Frosted Cranberry. Alas over the last few years it's been replaced by Frosted Berries which I do love but it isn't quite the same. I'm crap at describing scent but it this is the perfect combo of sweet and tart cranberries with just hint of spice. I have a couple of pieces left in this fragrance in my stash but like with all of their apple scents I'm hoping that The Body Shop bring this one back for Christmas 2018.